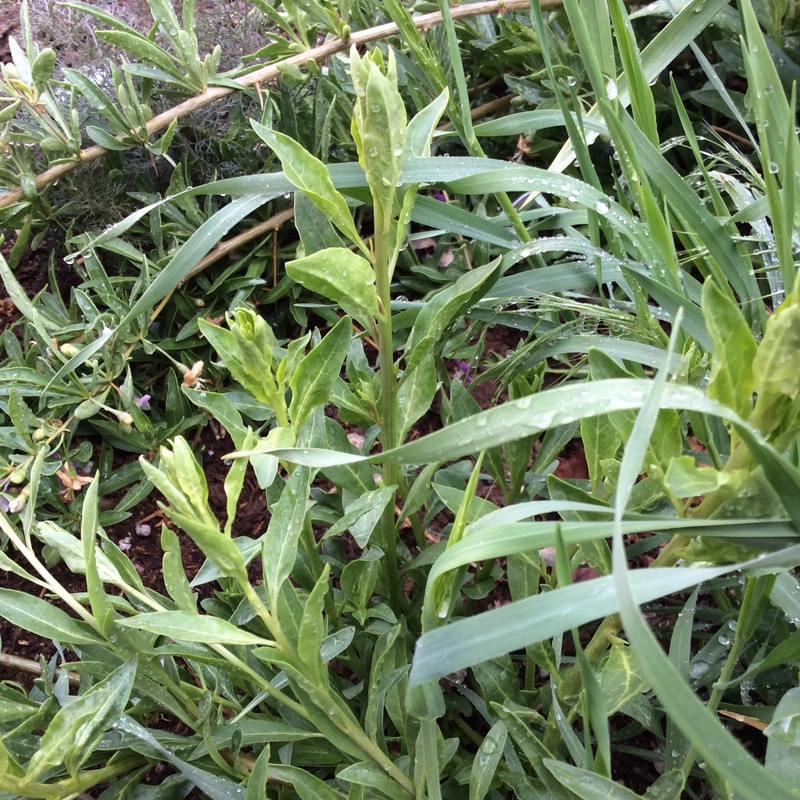 Thomas Jefferson wrote toward the end of his life “Though I am an old man, I am but a young gardener.” Today I’m writing about Luke of the Mortaltree blog, who, though a young man, is an old, experienced gardener. 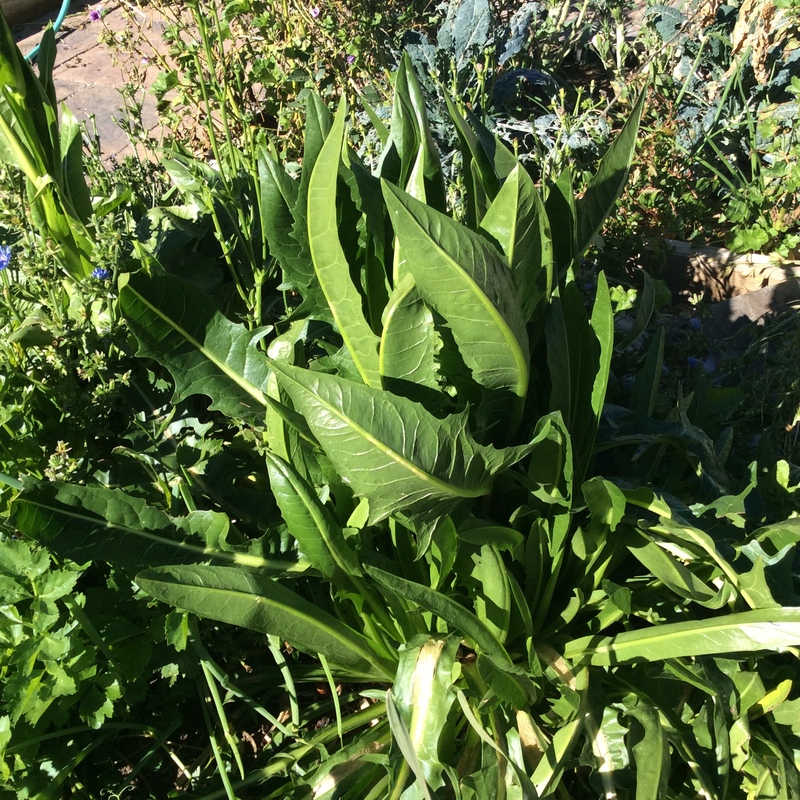 Quite some time ago I wrote a post about the lack of genuine permaculture cookbooks to tell people what to do with unusual perennial vegetables if they were to grow them. Luke took me seriously and started writing exactly such a guide. It will be developed more and come out as a book later this year, so follow his blog if you want a notice when that happens, but he was kind enough to publish the preliminary material on his blog. Here are the introduction and Part I, with brief excerpts. Both Luke and I would love to hear reader’s thoughts. The photos here are mine; his are much more artistic. “Perhaps we could say yield is a ratio of utility to effort. In permaculture, we want everyone to utilize everything to the fullest. It’s reducing waste. It’s increasing pleasure. It’s making more of less, by realizing what we already have. 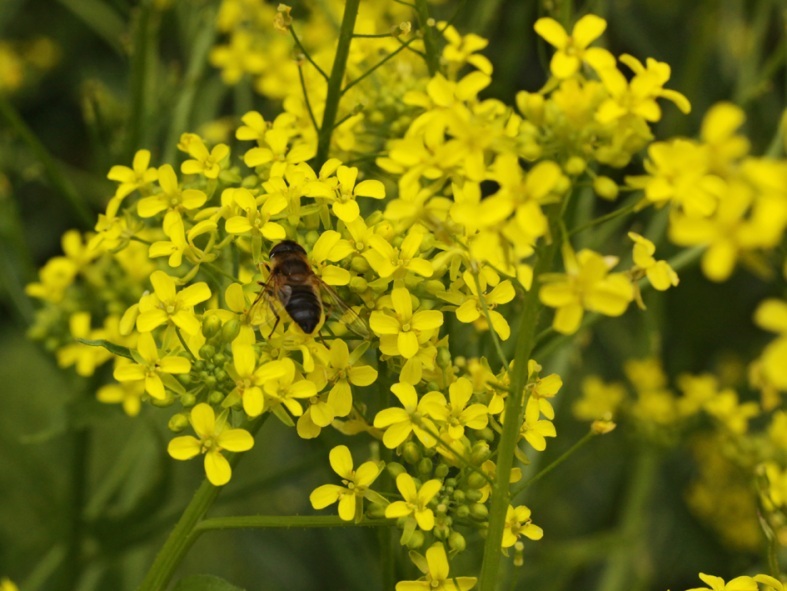 Part one goes on to describe a number of unusual perennial vegetables and a few annuals that are available very early in the year, during the hunger gap, and gives delicious-sounding recipes for them. 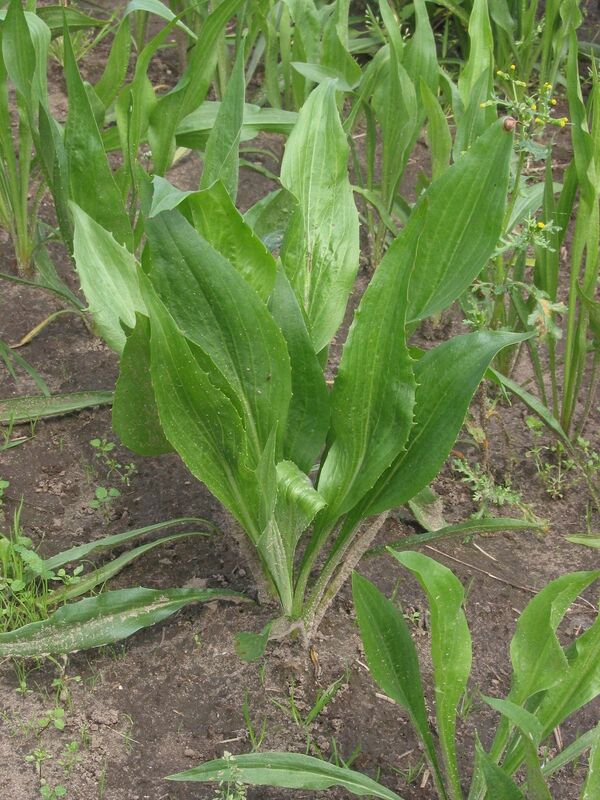 So far I’ve written about 16 perennial vegetables that I eat regularly and enjoy, and there are still more to mention. 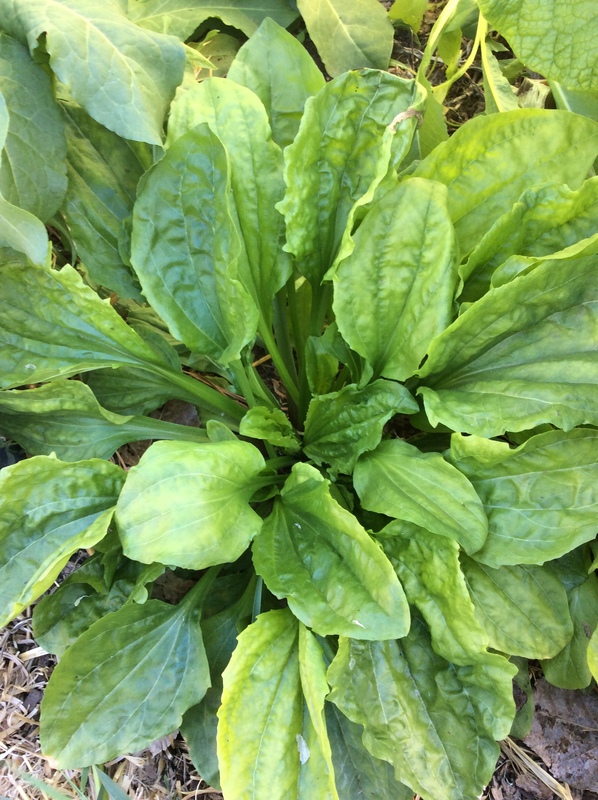 Most are things that I haven’t really gotten to work well yet, but pictured above is a perennial veggie that I eat nearly every day. The Egyptian walking onion has become so intrinsic a part of my cuisine that I don’t take special note of it as a perennial vegetable. It’s just food. I have written elsewhere about how I manage it, so I won’t repeat most of that material here except to say that I have four patches of it now, north exposure and south exposure, sun and shade. This is how I ensure that almost every day of the year except January, there are green onions somewhere on the property that I can harvest. 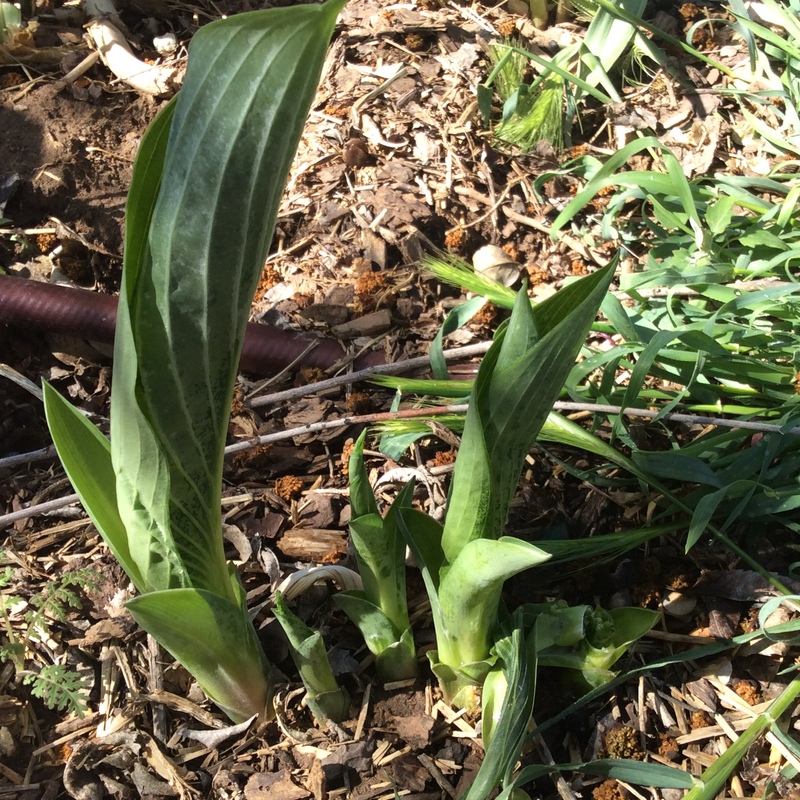 A good way to site them is to wait for a spring snow and then note two things: where the snow melts away first, and where it lingers the longest. 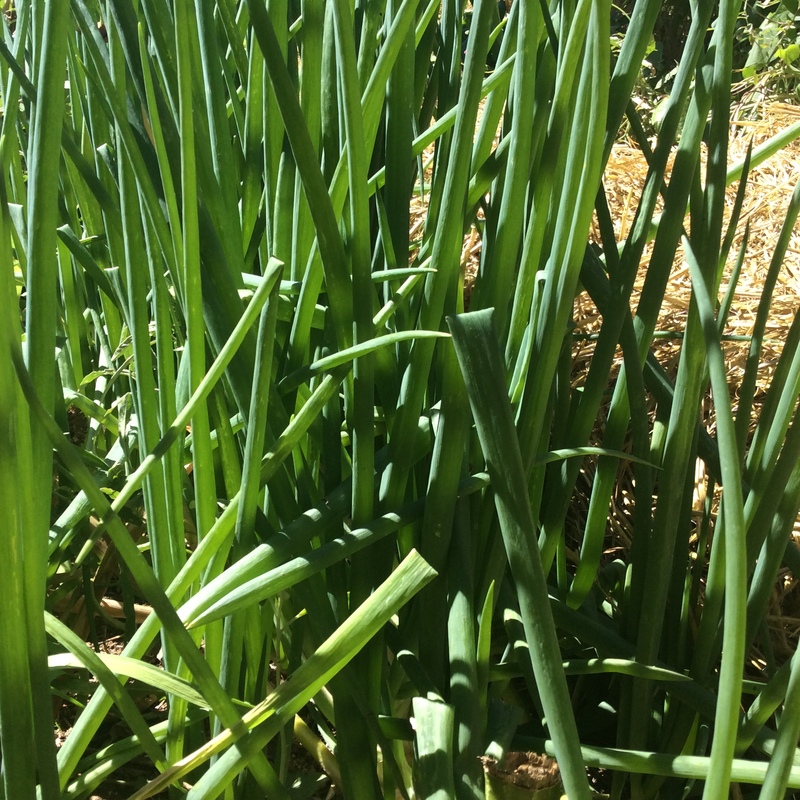 This gives you a good indication of your warmest and coolest microclimates, and you want to get some perennial green onions in each so that you have the longest possible season. If you don’t get any snow at all, odds are that you can grow them throughout the year with succession planting. 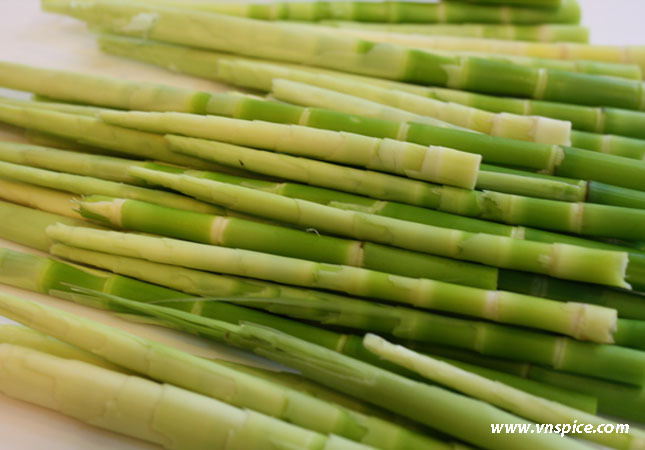 I stole the photo above because I daydream about lavish piles of fresh bamboo shoots. Three years ago I planted Phyllostachys dulcis, the famously invasive sweetshoot bamboo, a 35’ bamboo with shoots sweet enough to eat raw. I reasoned nervously that in my desert climate the lack of water would probably keep it from spreading far, and for extra insurance I sited it against the fence of my goat’s pen so that, in a worst-case scenario, I could turn her loose on it. Three years later, it is a clump of about five scrawny canes 6 feet high at most, and I have eaten exactly one bamboo shoot. 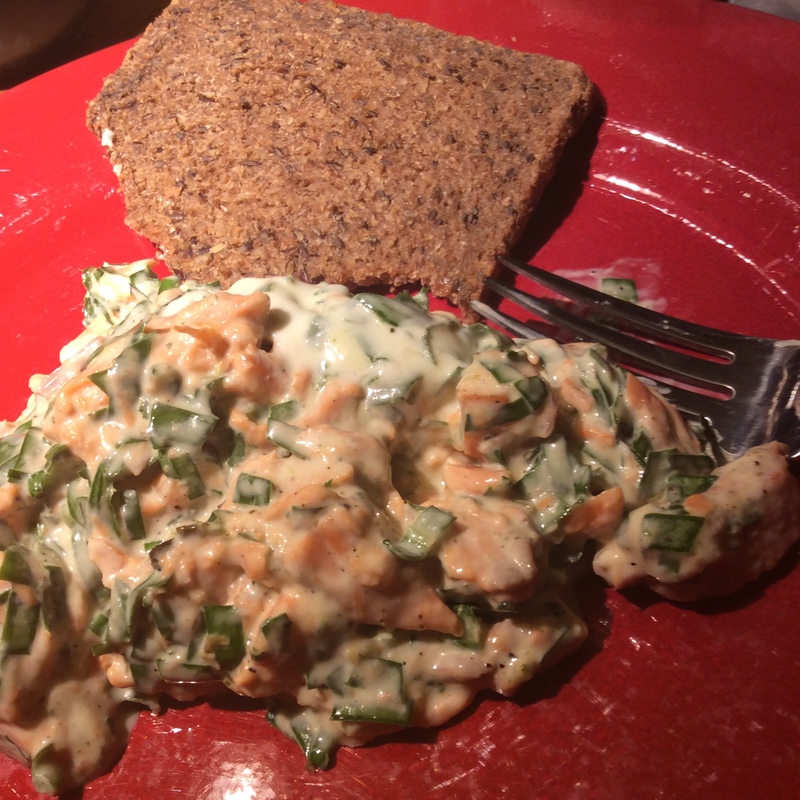 That one shoot was very delicious slivered into a salad, but this is not exactly the course that I anticipated. Maybe it’s my dry climate and alkaline soil, or maybe it’s karma, but so far this one isn’t budging. I remain hopeful. Maybe 2018 will be its year to take off. Rugel’s plantain is a plantain that I actually paid money to have, because I read that it had better flavor than the common great plantain. It might taste a little less rank and weedy, but I don’t find it to be a choice eating plant by any means. Probably the best way to use it is boiled and seasoned baked in the planting chips, but then even the common plantain tastes okay when used that way. So this one is a nice indestructible plant with limited uses. I am willing enough to let it keep occupying that space, but if I had it to do over again, I probably would not spend money on a specimen. 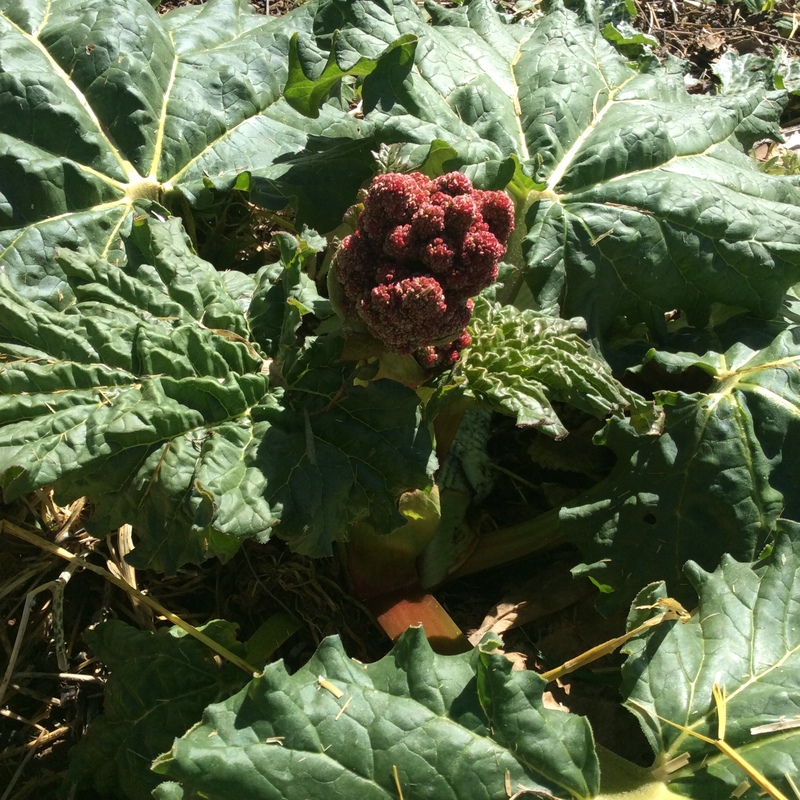 Rhubarb is not a plant that I find a lot of uses for, but I must say that I do enjoy harvesting in the tightly packed flower buds. When steamed, they look a lot like cauliflower but taste strikingly like sorrel, with a strong lemony tang. 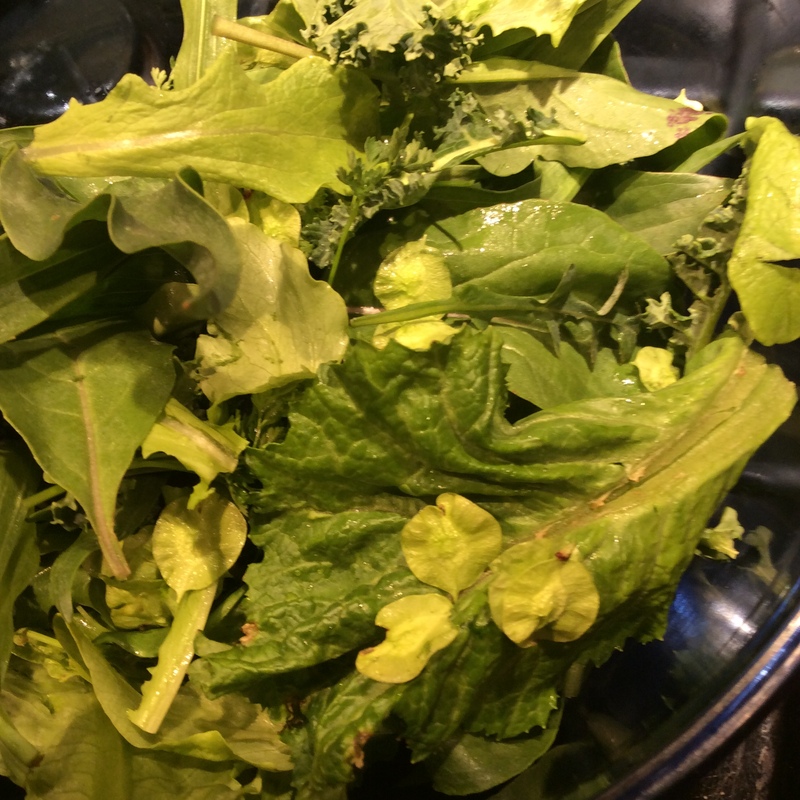 The cooked buds make a delicious addition to mixed cooked vegetable salads. 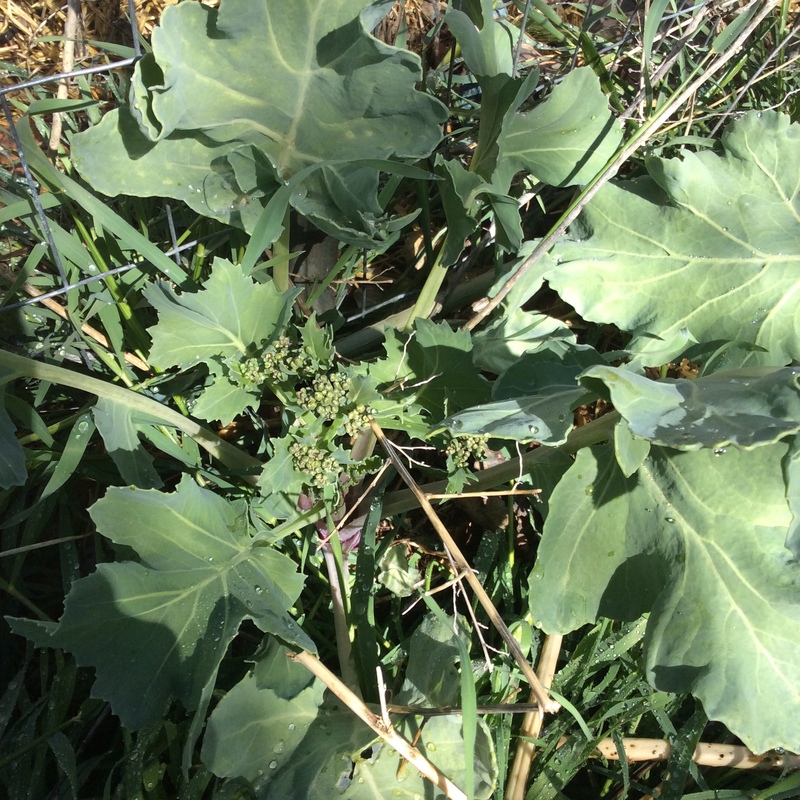 Sea kale is a plant that is still settling in for me. 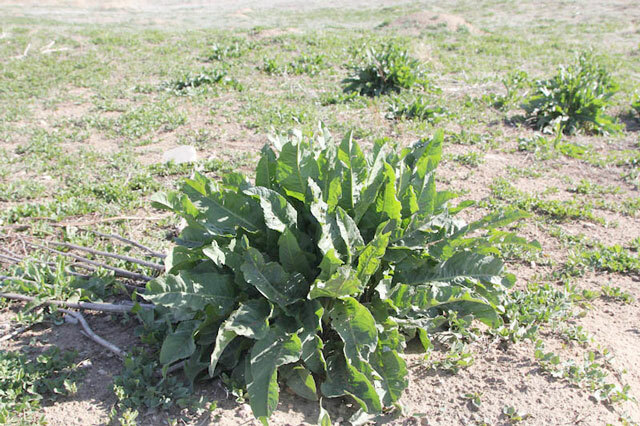 Each plant makes only six or seven big waxy leaves, and if you harvest more than one, the plant will probably die. 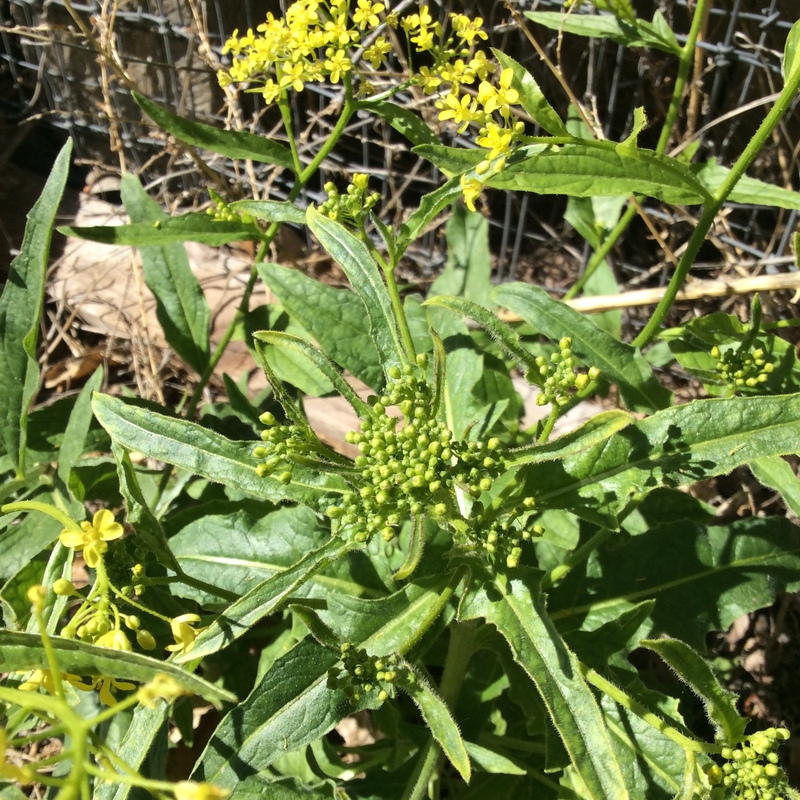 Only one of my new plants bloomed this year, and I did not harvest the buds as a “mini broccoli“ because I wanted to smell the flowers, which are said to smell strongly of honey. 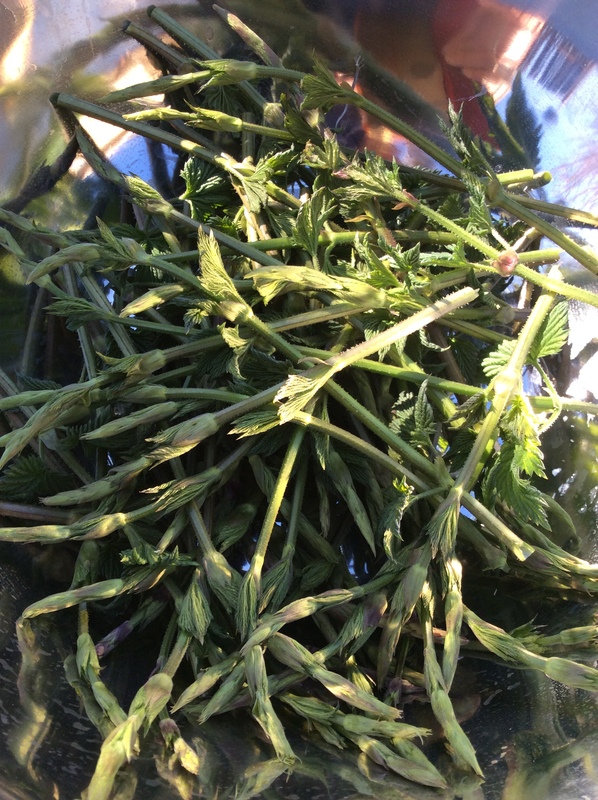 Mine had very little scent, so I might as well have eaten the buds. But they were mobbed with bees. 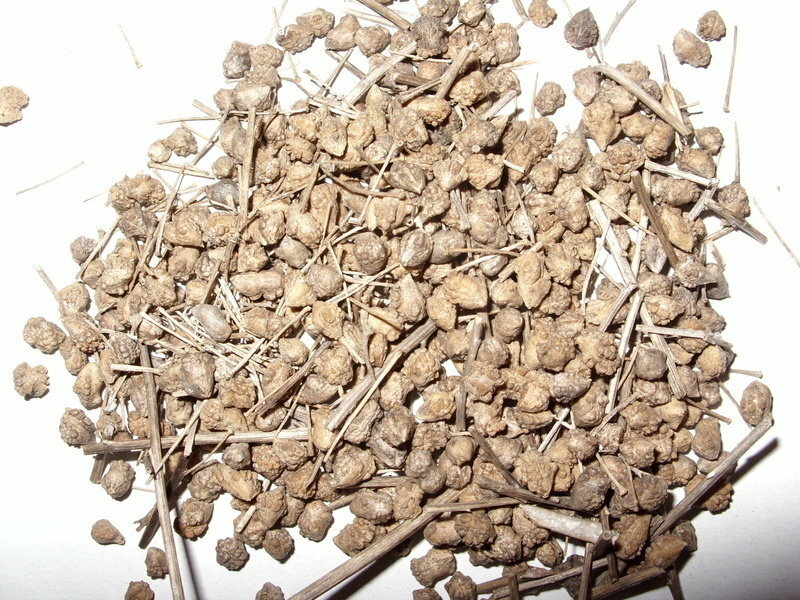 I am told that if you let the plant ripen seeds, that is another thing that will cause it to die. Per the reports of people who have it, it seems determined to die. 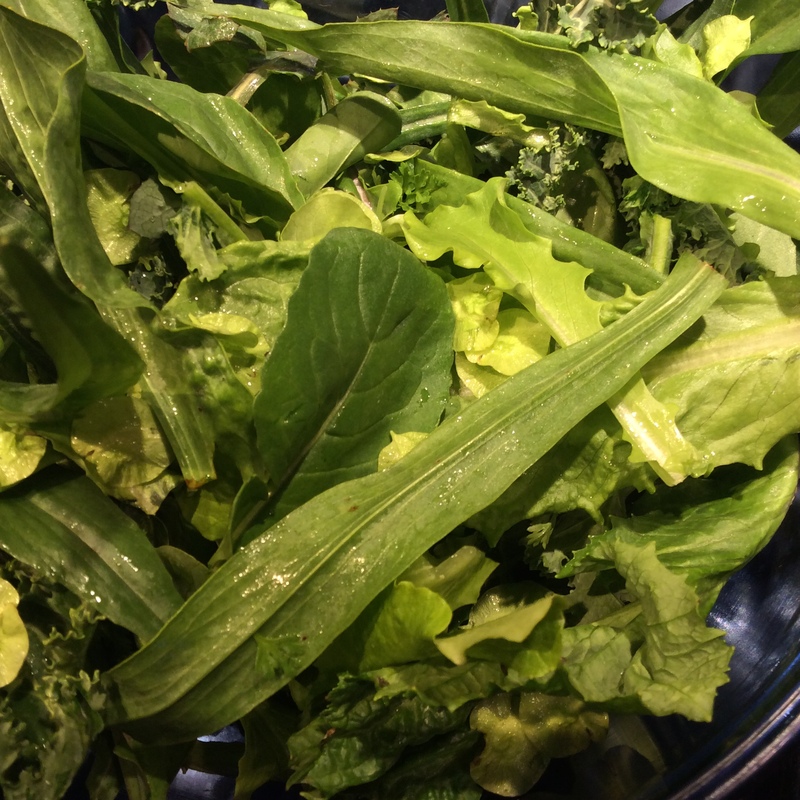 I did read that the leaves could be harvested in late fall when the plant no longer needs them, but at that point mine were so ratty and bug-holed that I could not imagine eating them. So in 2018 I will just harvest buds and leave it at that. I want to love this plant, because Thomas Jefferson loved it, but so far it is not exactly earning its keep around my place. Still, there are many perennials that it takes me years to learn to use well, so maybe this is one of them. Chicory comes in dozens of forms. 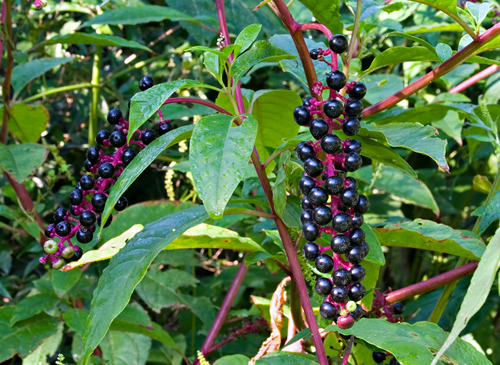 The one that I grow as a perennial is Clio, from Johnny’s Selected Seeds. 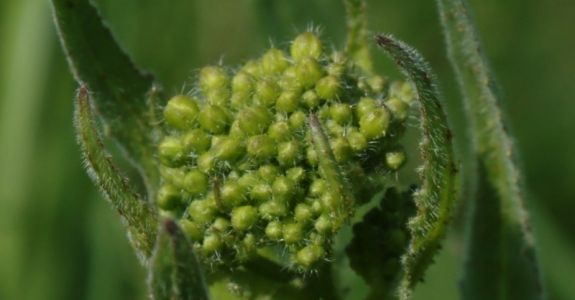 It resembles a dandelion on steroids until it produces its sky-blue raggedy blooms. I cut down the bloomscape after it blooms, and harvest the newer leaves in fall. 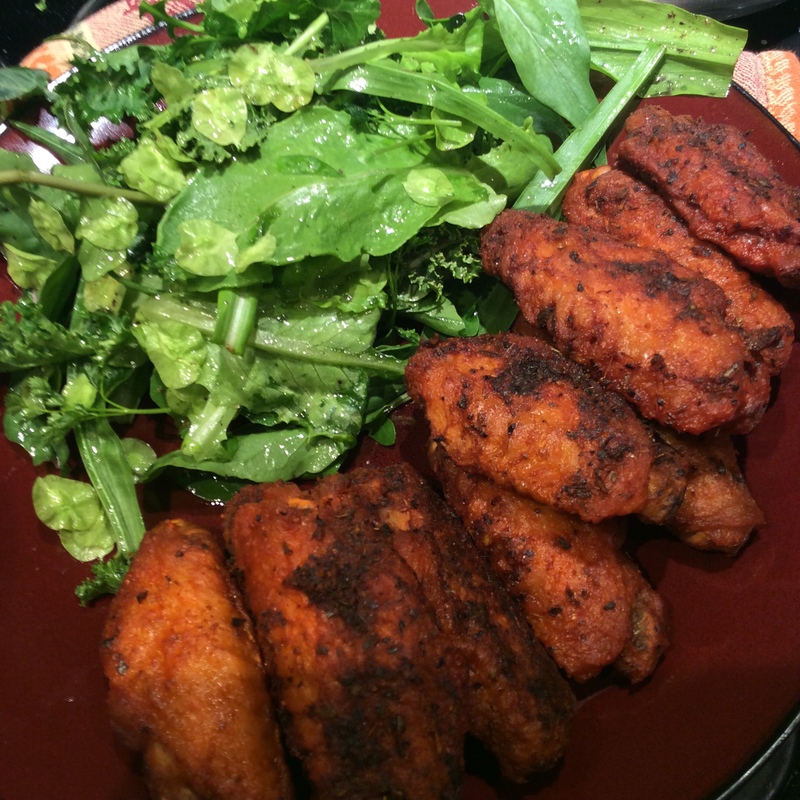 Like all bitter greens, it needs strong seasoning, and I especially like it with bacon lardons and red chile. 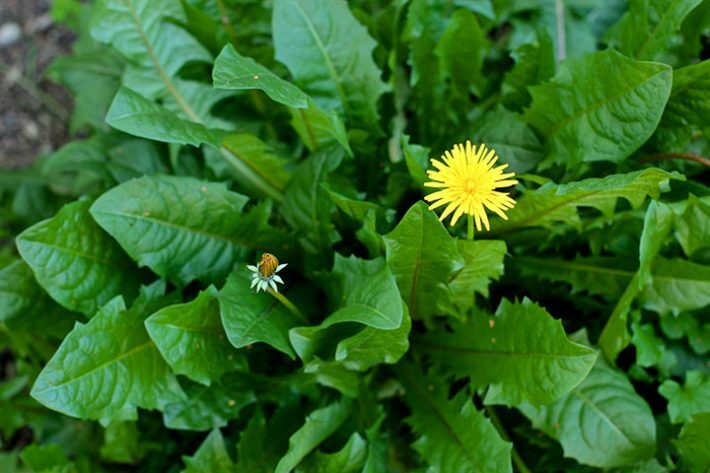 The flavor is different from dandelion leaves, a little richer and not as bitter, and some people like it who don’t care for dandelion at all. I think that probably you could force it with frost blankets in cold weather, but haven’t tried that yet because I have enough other things to eat in cold weather. I think that every urban homestead needs to have a wine grape growing somewhere. 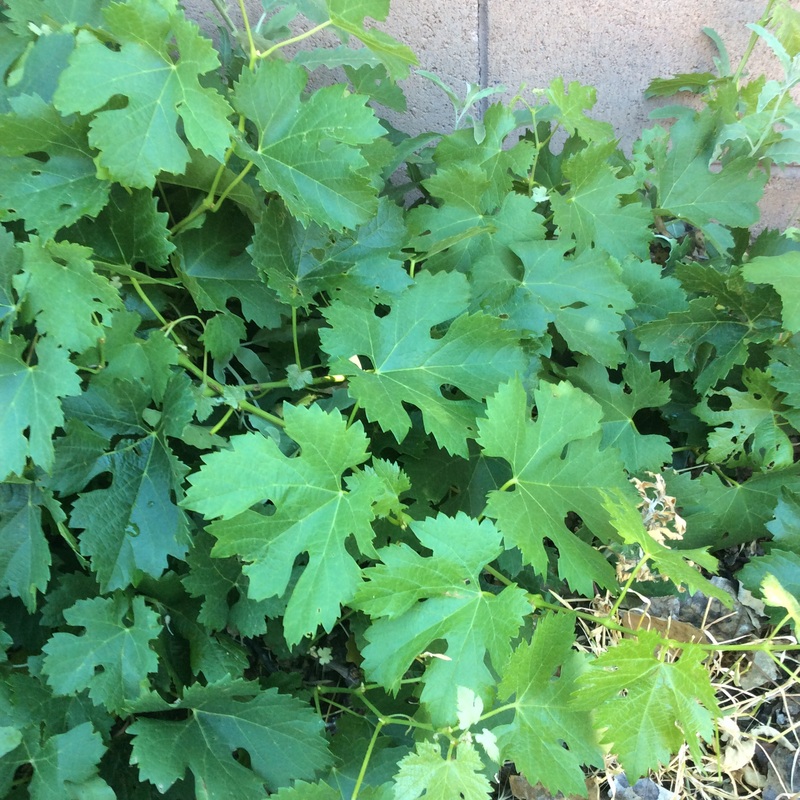 You will never get enough grapes from one vine to make any wine or vinegar, but wine grapes tend to have nice edible leaves, while the leaves of Concord grapes and many other grapes of American derivation are full of unchewable undigestible fibers and cannot be considered edible. Grape leaves are endlessly useful. I might actually make stuffed grape leaves once a summer, but once a week in the mid and late spring I grab a handful of grape leaves to throw in mixed greens. 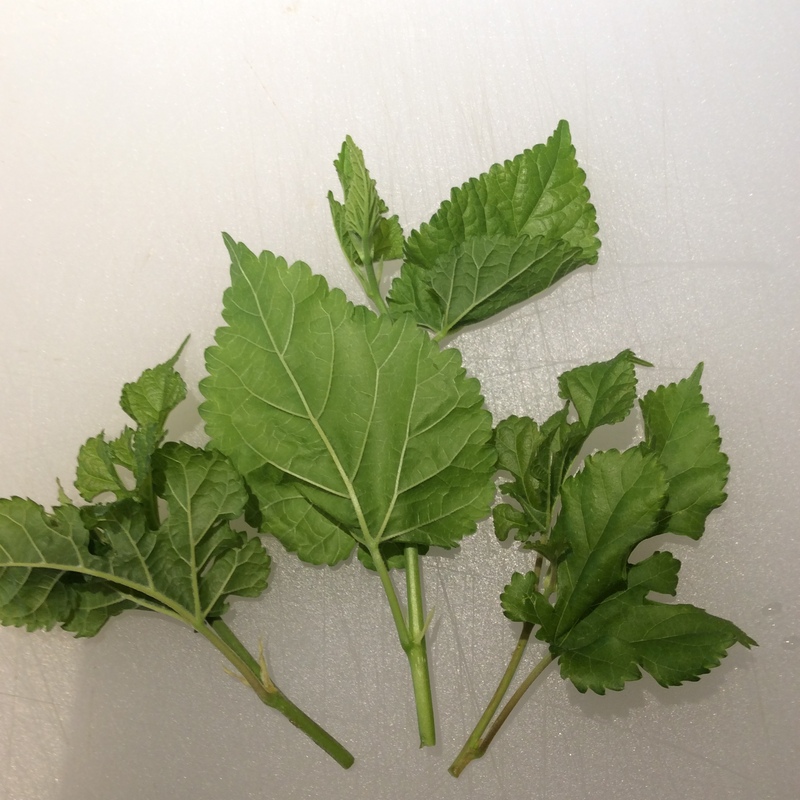 They need to be finally slivered because the leaf veins can be tough, and the stems need to be removed altogether, but they have a lovely tang. I also like the small fresh ones chopped into salads. Young tender grape leaves fried quickly in olive oil make a labor-intensive but really lovely garnish for nearly anything that you might serve in late spring, and I recommend frying them in good olive oil because the rich oil combined with the shatteringly crisp lemony leaf is very delicious. 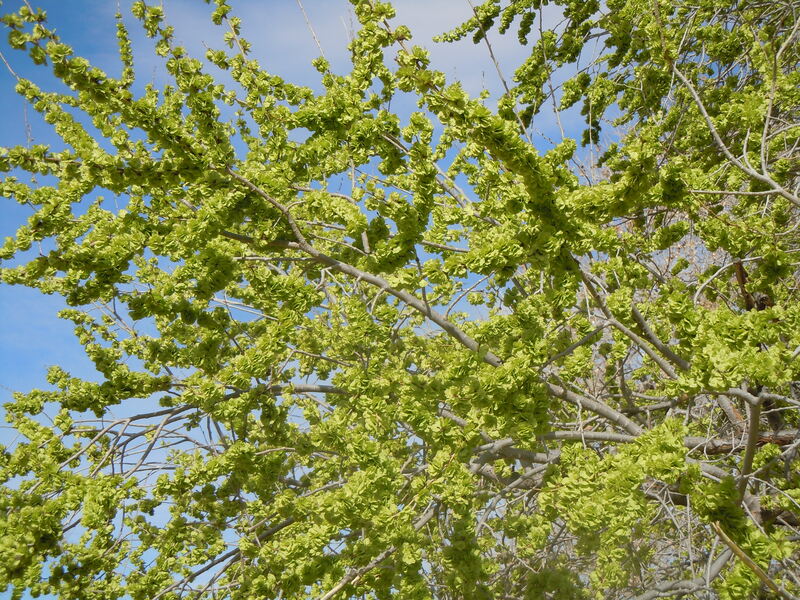 I have decided to count the Siberian elm samaras that grow all along the nearby path as a perennial since, after all, what could be more perennial than a tree? 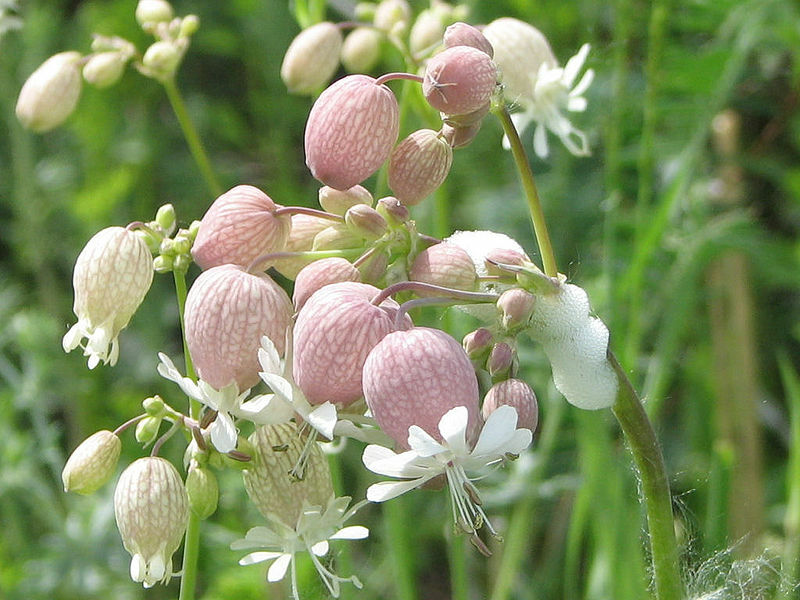 Elm samaras are mild and have no distinctive flavor of any kind, but they are available in mind-blowing quantities, and are the first green of spring along with bladder campion and whatever I have managed to force under frost blankets. 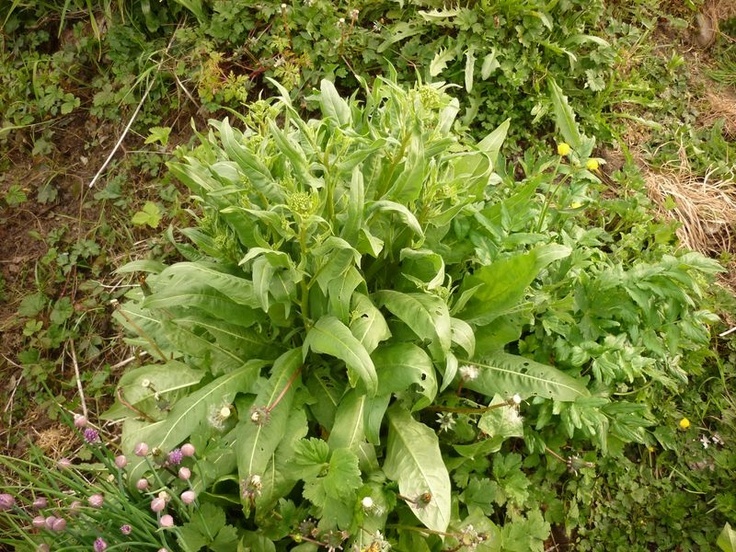 They are a useful addition to salads and cooked greens, can be nibbled along the walk as a nice trail snack, and gathered by the bucketful for my chickens and goat, who have gone through the winter without fresh greens. So despite their lack of distinction, all of us are happy to see them. 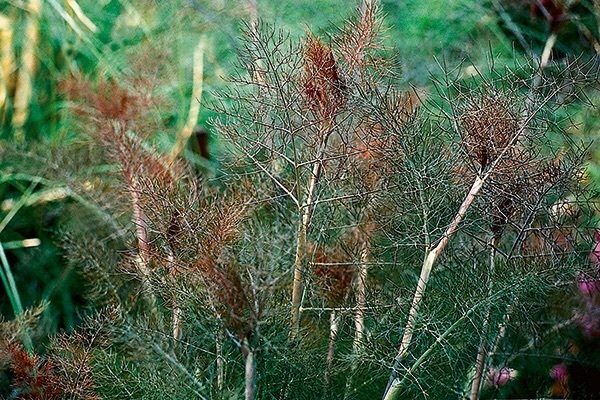 Within two weeks of their first appearance as a green mist on the trees, the edges have become papery and tough and the season is over. No problem, I am on to other things at that point. 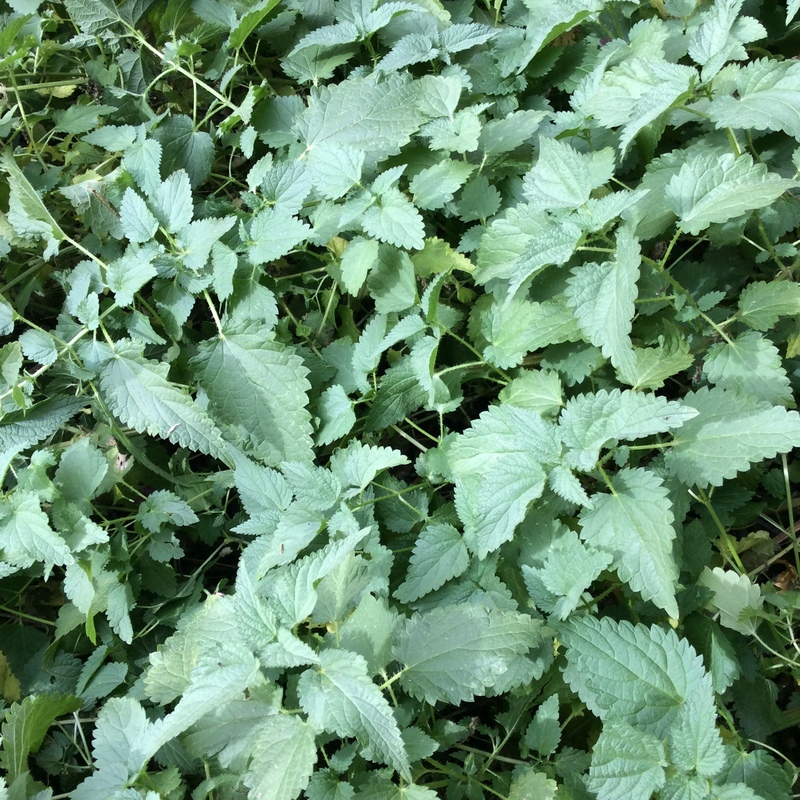 But later in the growing season when I am cursing the wily and invasive Siberian elm, it helps to remember that it was one of the first fresh things to come to my table. 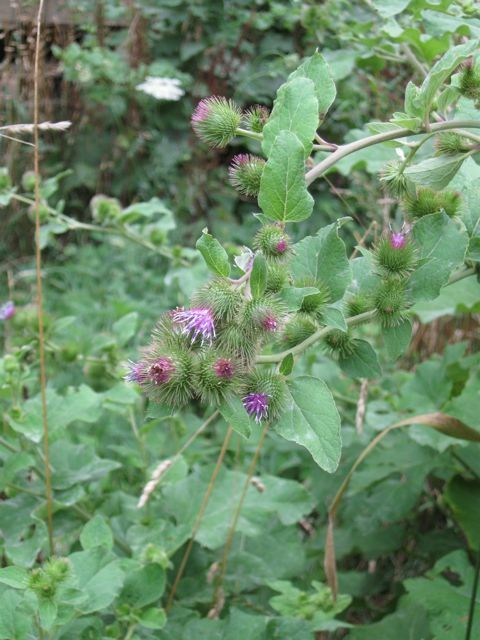 People who live in wetter climates would be surprised, and probably amused, to learn what efforts I’ve made to have common weeds like nettles, burdock, chickweed, and milkweed grow on my property. 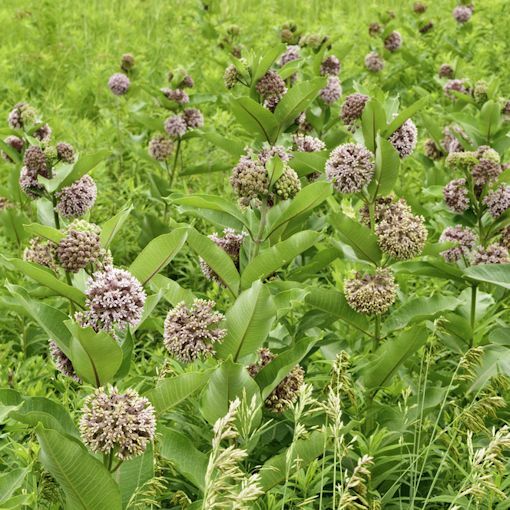 Common milkweed, Asclepius syraica, has been especially difficult because it really does like moist soil and doesn’t tolerate “dry feet” or alkalinity gracefully. It took a couple of tries before I got any to germinate, and now I finally have a few plants, which have to be watered and tended and fussed over as if they were orchids until they get stronger. 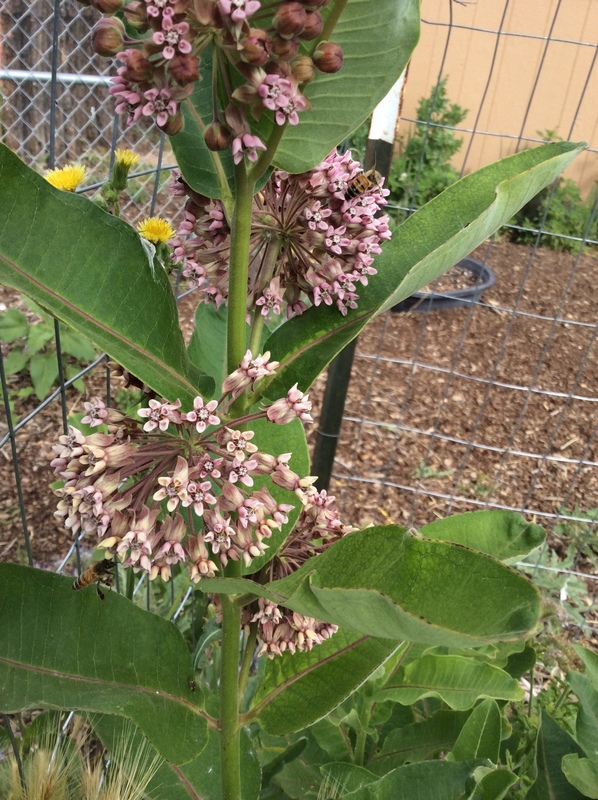 I had to borrow photos because my own milkweed is still a bit on the spindly side. One might well wonder why I bother. 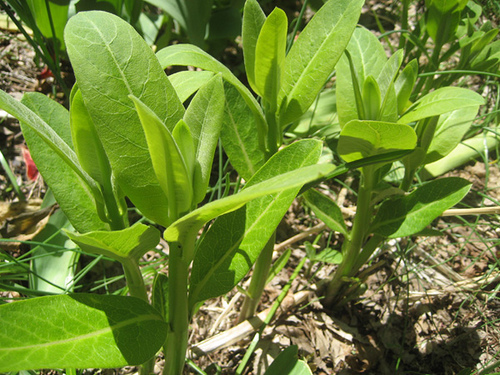 One reason is that I like to eat milkweed, especially the young seed pods, but the shoots and buds are just fine too. It’s a true nose-to-tail vegetable. Another is that I am transitioning from annual veggies to perennial wherever possible, and A. syraica is a good useful perennial that doesn’t require soil disturbance to grow. A third reason is that the flowers are fairly ornamental and send out a cloud of perfume reminiscent of flowery vanilla. Notice how the sightings in New Mexico just peter out, while the ones in wetter areas east and west continue northward. 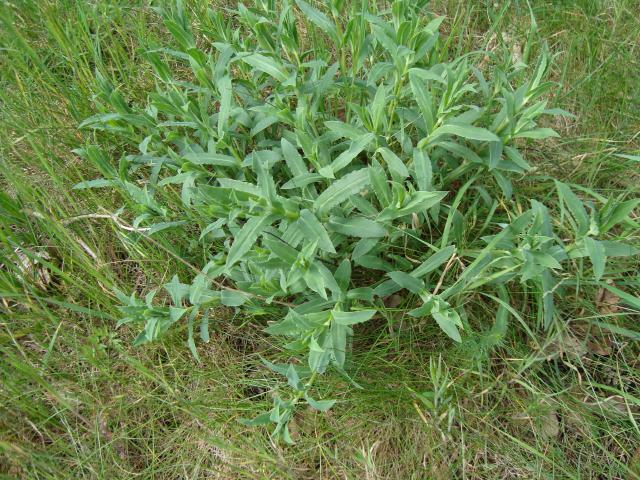 Compare this to the maps on the same site for larvae and for milkweed. 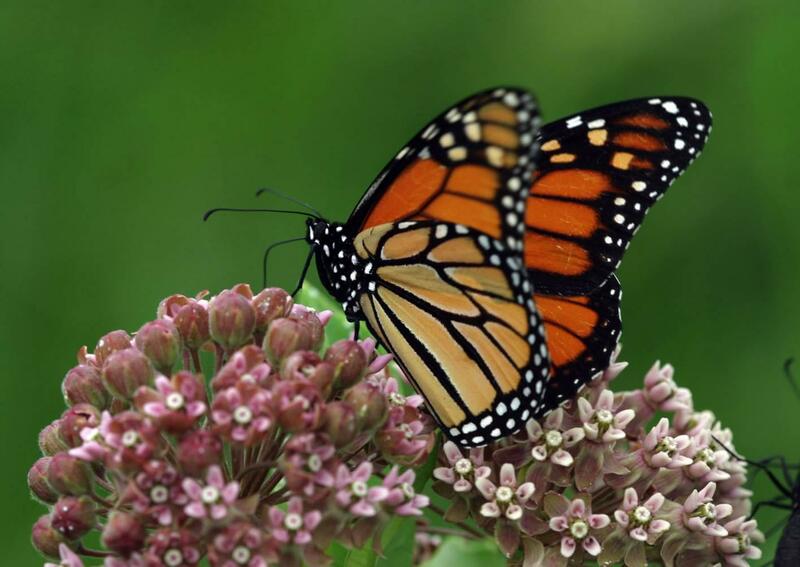 The migration of monarch butterflies from Mexico to the northern US is a migration of generations. The butterfly that arrives in Montana may be great-great-grandchild to the butterfly that flew north from Michoacon. All along the way they need breeding habitat, and their larvae feed on A. syraica and a couple of other closely related milkweed species. The leg of the journey through desert northern Mexico and southern New Mexico is a barren one, and a few milkweed oases along the way might help more monarchs make it to Colorado and further north. I can’t guarantee it, of course, but it seems worth a try. 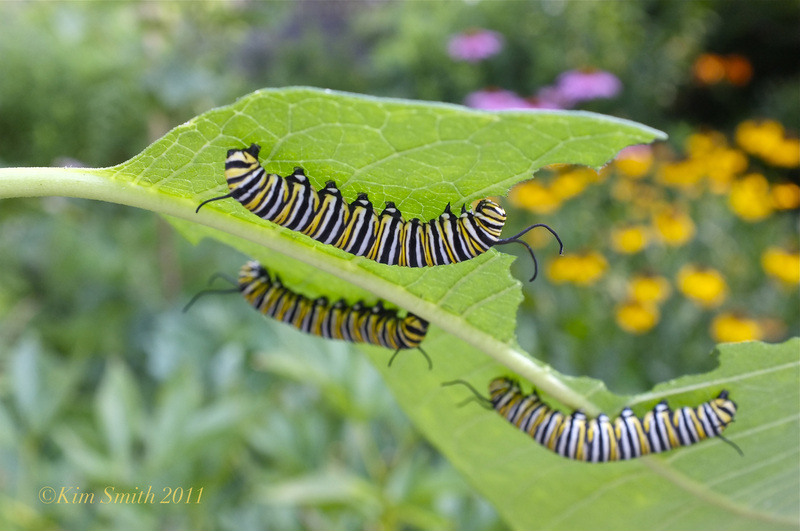 Adult monarchs will sip nectar from many flower species, but the fate of the larvae is tied to milkweed supply. 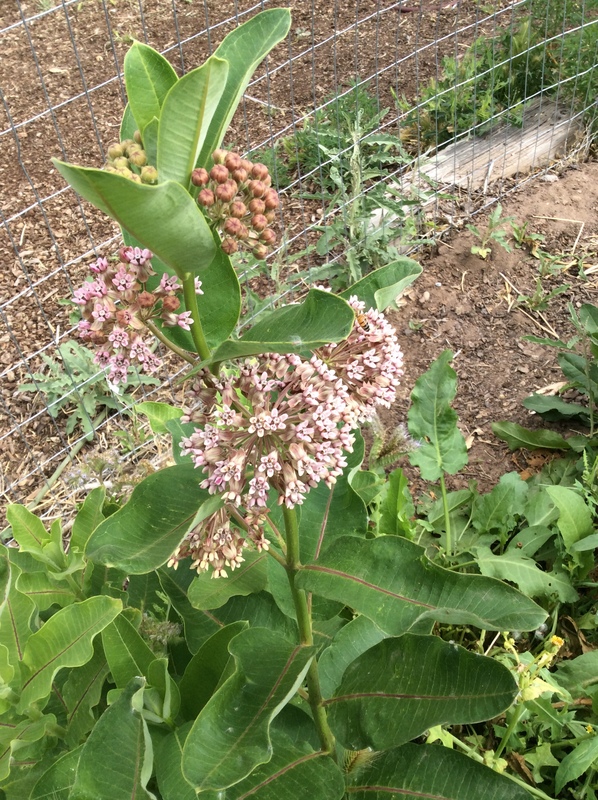 Since my plants are still too young to pick for eating, I won’t be writing about milkweed in the kitchen until next year, but you can obtain the two wonderful field guides by Samuel Thayer, The Forager’s Harvest and Nature’s Garden, and be prepared to forage and cook any common wild edible. I never tire of recommending Thayer’s books, which contain great detail about identification and culinary use at various stages.